Jagan’s comments on Pawan Kalyan’s wives has become a burning issue in AP politics. YCP leader criticized Jana Sena chief that he changes wives like cars and that he’s ‘Nithya Pellikoduku’. 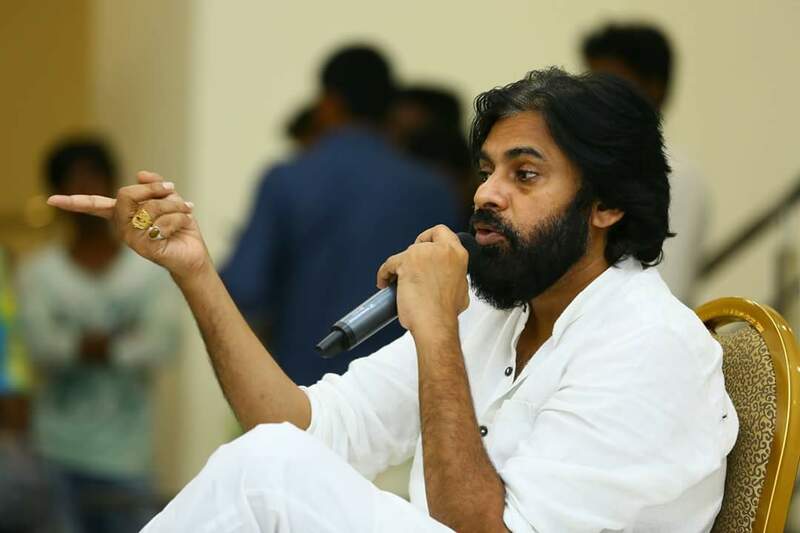 Reacting to these comments, Pawan slammed Jagan at a meeting with his party workers in Bhimavaram on Wednesday evening. “Factionists and Rowdies are blabbering whatever comes to their mouth. If we decide to make personal attacks.. those factionist leaders cannot stand it. Jana Sainiks can face YCP goondas with courage. I am ready for that kind of fight also but these personal attacks will not resolve any issue,” warned Pawan. “It is disgusting that those who served prison term are speaking about morals. With my hardwork for 25 years I could pay 25 crore tax. How could Jagan pay 300 crore tax in just 3 years?” asked he. Pawan also lashed out at CM Chandrababu Naidu misusing public money for his personal image. Next articleహీరోలందు అర‌వ హీరోలు వేర‌యా..!